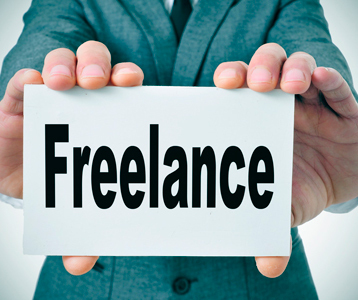 A freelancer is also known as an independent contractor for Australian taxation purposes. A freelance worker is a person who is self-employed and is not committed to one particular employer (principal) full-time or long-term. A freelance worker may undertake work for a variety of principals for fixed periods of time or for a particular piece of work. A freelance worker will have their own Australian Business Number and be required to pay their own superannuation, tax and GST. A freelance worker will exercise a high degree of control over how their work is performed and the hours worked and will usually invoice the principal for work performed and/or is paid at the completion of a particular project. On the other hand, an employee is a person who enters into an on-going relationship with a particular employer for the provision of their services in exchange for regular compensation. Under the Fair Work Act 2009 a freelancer is not a national systems employee and consequently not entitled to the national employment standards including paid annual leave, personal leave or long service leave. A freelance worker should be aware that an employer is prohibited from representing an employment contract as a contract for services or that it is an independent contracting arrangement. For example, if you are engaged to work for one employer on a full-time, long-term basis in exchange for weekly, fortnightly or monthly compensation you may be an employee and thus entitled to employee entitlements as above. (d) refuses to supply, or agree to supply, goods or services to the independent contractor. A principal is prohibited from knowingly or recklessly making a false or misleading representation about the workplace rights of the independent contractor or threatening action against the independent contractor with intent to coerce the independent contractor to exercise or not exercise a workplace right. An independent contractor may apply for a review of a services contract on the basis that it is unfair and/or harsh within 12 months of the end of the services contract. This may be required where the independent contractor had a weaker bargaining position, where the principal exerted undue influence, pressure or tactics against the independent contractor or where the contract provides total remuneration less than that of an employee performing similar work. engaging in unconscionable conduct in trade or commerce in connection with the acquisition or possible acquisition of goods or services from the independent contractor. There are numerous advantages and disadvantages of being a freelance worker. As stated above, a freelance worker is not entitled to the superannuation and leave entitlements of an employee, often faces job insecurity and is responsible for managing their own work flow and taxation requirements. A freelance worker should balance the above disadvantages with the flexibility that independent contracting affords in allowing choice of work load, their hours of work, remuneration rate and type of work.